Oh, the upset stomach, dehydration and pounding headache of the morning after the late night festivities. 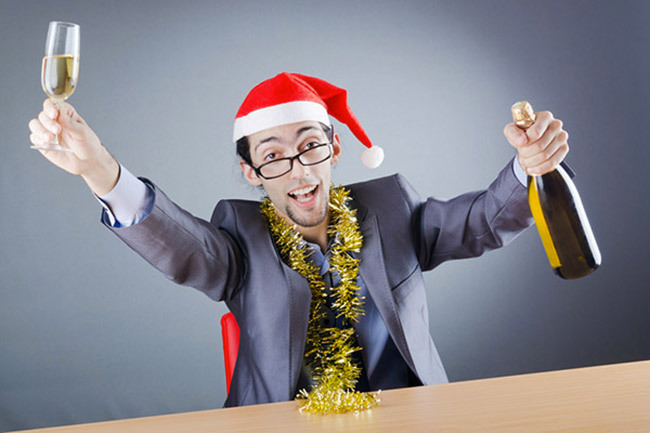 You drank too much ringing in the new year and now you are paying for it. If it makes you feel any better (which it won’t) you’re not alone. The traditional overindulging-drink-fest has been going on for decades and people have been vowing each January first to make it their last. Although this muttered promise rarely lasts and you will most likely find yourself talking to the porcelain bowl again this season, be prepared with some hangover remedies to help you through the rough spots. 1 Water Water Everywhere – So Drink It! 6 Say Yeh or Neh to the Coffee? Water Water Everywhere – So Drink It! After a night of drinking, water is your best friend. The very nature of the human body is to filter out what has been put in – so the more you drink the more you are going to pee. In addition, alcohol will dehydrate your body. Water is the best fluid to use to replace your liquids and to help you feel better faster. After a night of boozing you should drink at least 16 to 20 ounces of water. And if you can remember, drink water after each beer or cocktail while you’re partying. Having a little, “hair of the dog that bit you,” is a popular saying and popular remedy to a hangover. However, this is also somewhat of a myth. Indulging in more alcohol when already hungover may be a temporary fix, but it will inevitably turn around and bite you. 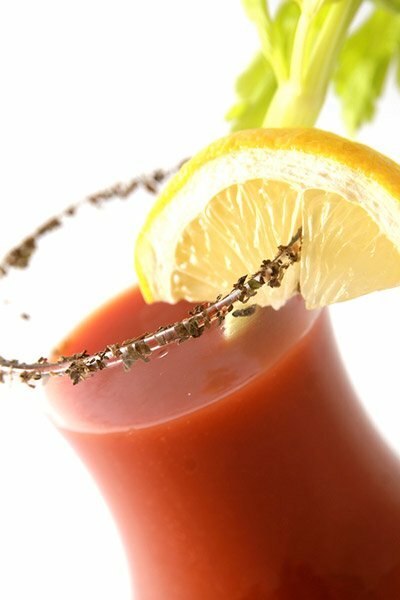 Try a virgin bloody mary instead – essential all that’s left when you take out the alcohol is tomato juice. Tomatoes contain vitamin C, potassium and other nutrients which will help bring your body’s electrolytes back into balance. Well… it’s actually the pickle juice that you need. Drinking pickle juice is said to help cure a hangover. This hangover remedy is from Poland and is thought to work because of the high concentration of electrolytes found in this type of juice. Pickle juice has high levels of sodium, and may work when you are severely dehydrated. However, this should always be followed by drinking plenty of water. “Oh what a relief it is…” may just be what you’re singing after taking a couple of Alka-Seltzer tabs in water. These fizzy pills are made from sodium bicarbonate (aka baking soda) and can help settle a roller-coaster tummy. The added aspirin may also relieve a pounding headache and vitamin C will help boost back those lost levels in your body. Catching some extra zzzz’s after a new year’s eve party is one of the best ways to help your body recover. Even if you have passed out after the big night, your body still needs extra sleep to repair itself. Waking up with a hangover is jolting to the body, so drink plenty of water and go back to bed. Your aching muscles and pounding head will thank you. Say Yeh or Neh to the Coffee? Coffee has always been thought of as the “best cure” for a hangover, but it isn’t necessarily so. Coffee is a diuretic and will narrow your blood vessels, while boosting your blood pressure. All of these side effects will make your hangover worse. If you are a regular coffee drinker and can’t skip your “Joe” then make it weaker and follow it with plenty of water. Even though the very thought of eating anything while hungover may send most people to the porcelain bowl, some “experts” say its one of the best cures. Eggs, bacon or sausage with toast and hashbrowns may help a hangover by replacing the lost nutrients your body burned through; however, it may be hard to choke back and to hold down. Some cultures also believe that pure bacon fat eaten in times of being hungover, is also a sure-fire cure. I know… gross, right? I had to include this one as part of my list. Working up a sweat while having a hangover, is a recommended “cure;” however, this is not easy when you feel like your head is going to explode, as well as your stomach contents. But apparently, not only expelling sweat, but licking it is also supposed to help with a hangover’s symptoms. We can assume it is because sweat is high in sodium and is an essential part of rebuilding lost electrolytes. But if you are unable to produce enough of your own, then you will need to find a willing participant to help you out. Although, I wouldn’t recommend standing by a park and asking passing joggers if you can lick the sweat from their brow. New Years Gift? Name a Star!